We look back on the last meeting between the two sides ahead of Saturday's clash between Leicester and Burnley. Leicester City host Burnley on Saturday afternoon in what will be an emotional day following the passing of Vichai Srivaddhanaprabha. It is the Foxes' first home fixture since the tragedy that occurred directly after the 1-1 draw with West Ham United, the last time there was a match at the King Power Stadium. We reflect on a previous meeting between the two sides which came in April 2011 as they both looked to achieve promotion from the Championship. The result of the game was something that was extremely important pre-match as the two teams were still in the hunt for a top six finish. With just one win in their seven previous matches, Leicester needed a strong response in order to push towards the play-off places whilst Burnley hadn't won in four and had begun to slip away from the top six. The visitors' poor form started to become clear as they found themselves under pressure. This pressure led to the game's first goal which came halfway through the first half. Diomansy Kamara marked his home debut with an emphatic goal, he stole the ball from Yakubu before drilling the ball into the back of the net. Just five minutes into the second half, the goalscorer was brought down inside the penalty area by Andre Bikey, leaving Mike Dean to point to the spot. Paul Gallagher stepped up and, as he so often did, smashed the penalty past the goalkeeper following his trademark run up. Yakubu, who was seen as inconsistent during his tenure with the Foxes, missed a chance that a striker of his ability should have been finishing. Although, he wasn't made to rue the miss as Gallagher scored his second of the afternoon with an unstoppable 25-yard drive that made sure of the points. Patrick Van Aanholt put the game far beyond doubt with his first senior league goal and the only one he scored in his half season with the club. After a neat exchange with Andy King, the Chelsea loanee bent a lovely effort into the top corner leaving Brian Jensen with no chance. There was still time for some more Leicester chances before the final whistle as Richie Wellens was denied by the crossbar before Gallagher missed out on a hat-trick due of a great piece of goalkeeping. While the result on Saturday certainly isn't the main thing, the Foxes will be desperate to build on last week's important 1-0 win over Cardiff. 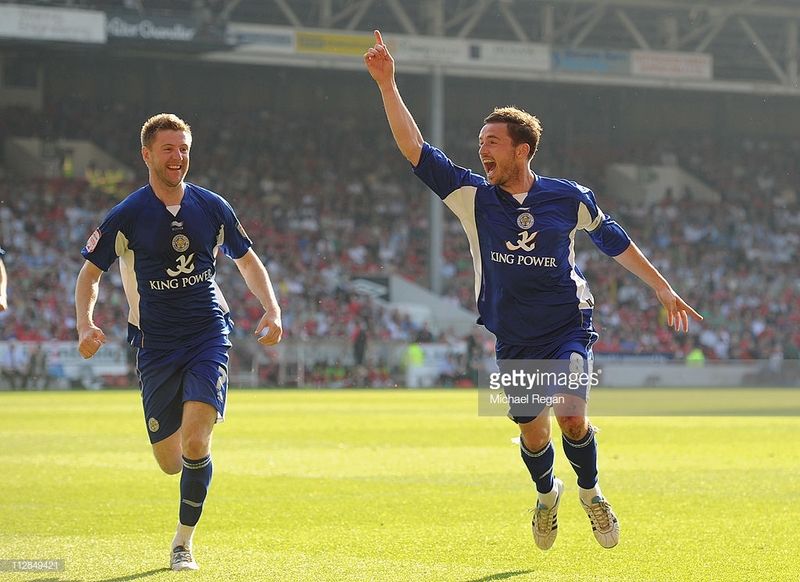 A repeat of the scoreline from 2011 would definitely be welcomed by Foxes fans.